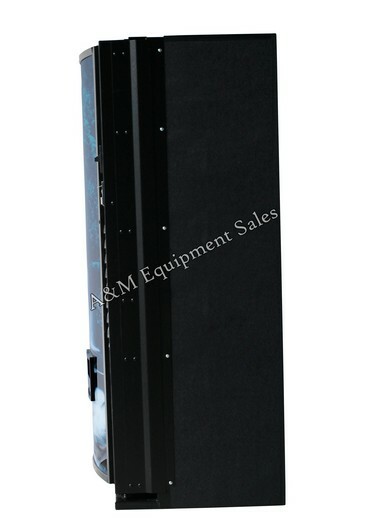 Dixie Narco 501E Drink Machine The Dixie Narco 501 E Machine is used by all bottlers throughout the United States. 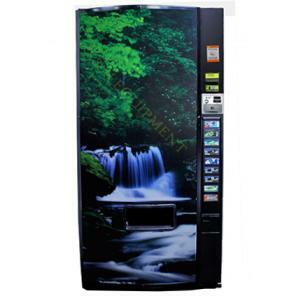 With the machine able to vend 9 selections of 12oz cans, 16oz bottles and 20 oz bottles it is one of the most versatile vending machines in the industry. 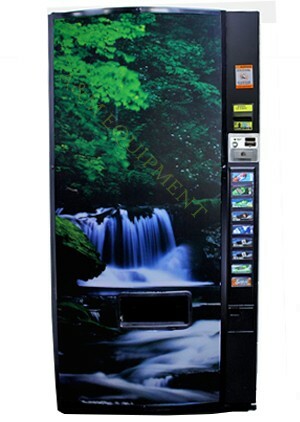 The Dixie Narco 501E Soda Machine is outdoor approved and with it’s Lexan waterfall sign is highly vandal proof. 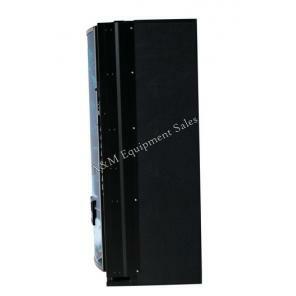 With purchasing a machine from A&M you purchase Quality. We have remanned equipment for industry giants such as Pepsi, Gatorade, Nestles Waters and Nestle Quick. We don’t cut corners when remanufacturing vending machines. Quality is key. Comes with remanned MEI validator and changer. 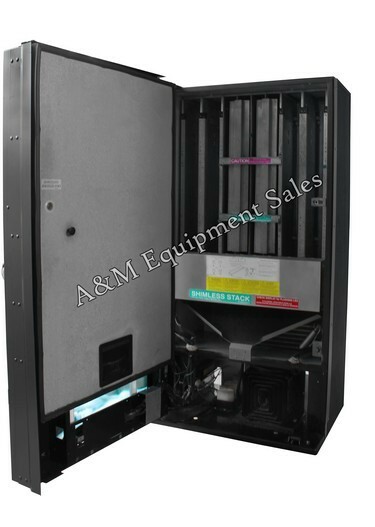 Optional new MEI Conlux changer and bill acceptor package can be purchased for $309.00. Warranty on new Conlux changer and Bill Validator two years. 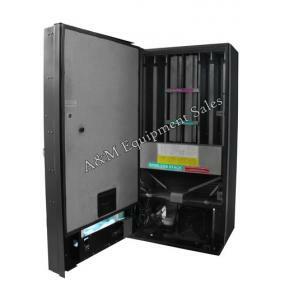 Telementary system can be installed also Tells the owner what sales and inventory is in the machine emailed electronically. We have over 300 years combined in the vending industry. Parts are in stock and readily available at A&M. Order called in or emailed before noon EST will usually be shipped same day.